The 15.6″ Chromebook that you will want to own. With its beautiful design, 27% larger screen, immersive multimedia features, long battery life and millions of apps. 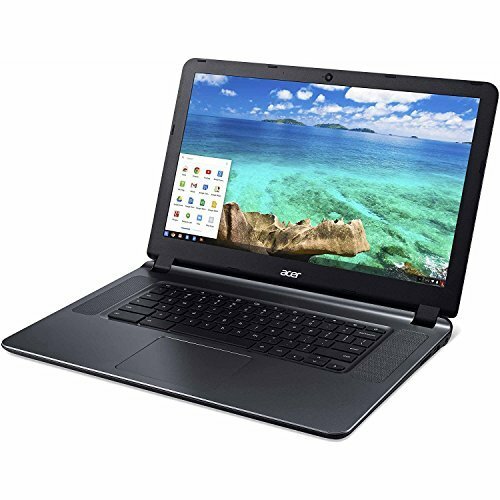 An absolutely stunning brushed aluminum Chromebook with an immersive display and upward facing speakers for a really stunning entertainment experience. Built with the technology that can assist you work all-day on millions of apps and then chat the use of the webcam. Share what’s on your screen with family and friends as colors stay true it doesn’t matter what angle you’re viewing from. Enjoy enhanced screen clarity even in sunlight, so you’ll be able to enjoy content anywhere you go. Enjoy wireless data transfer rates of As much as three times faster than those of 802.11n. Certified Refurbished product has been tested and certified by the manufacturer or by a third-party refurbisher to look and work like new, with limited to no signs of wear. The refurbishing process includes functionality testing, inspection, reconditioning and repackaging. The product ships with relevant accessories, a 90-day warranty, and may arrive in a generic white or brown box. Accessories is also generic and indirectly from the manufacturer.